Sometimes you need a little inspiration to cook something new. This recipe is inspired by my visit to the local farmers market. Their freshly harvested produce is extremely good and they taste amazing. 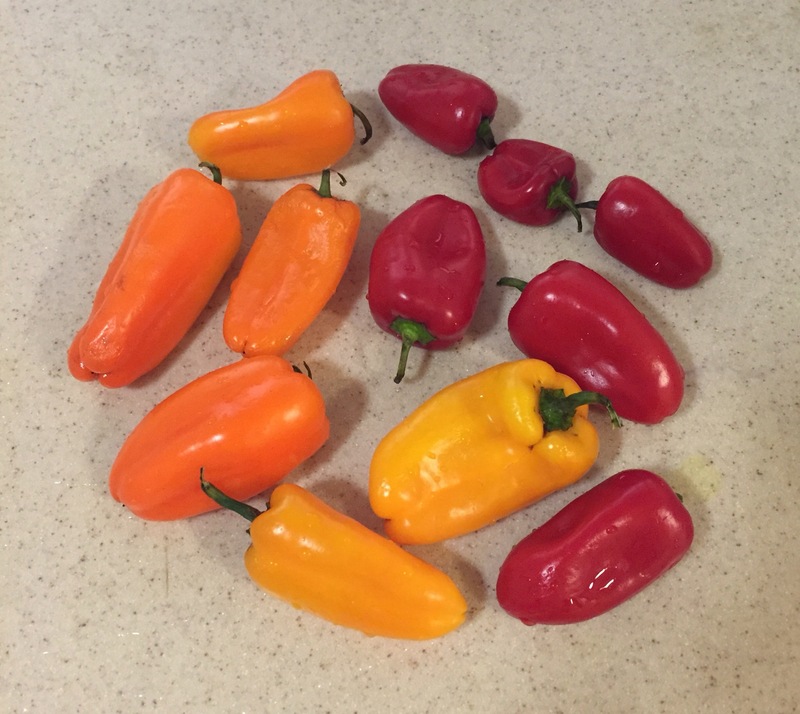 I found these beautiful, colorful sweet peppers, couldn’t wait to cook with it. I cook cauliflower in many ways sauté, fry, gravy and curry. 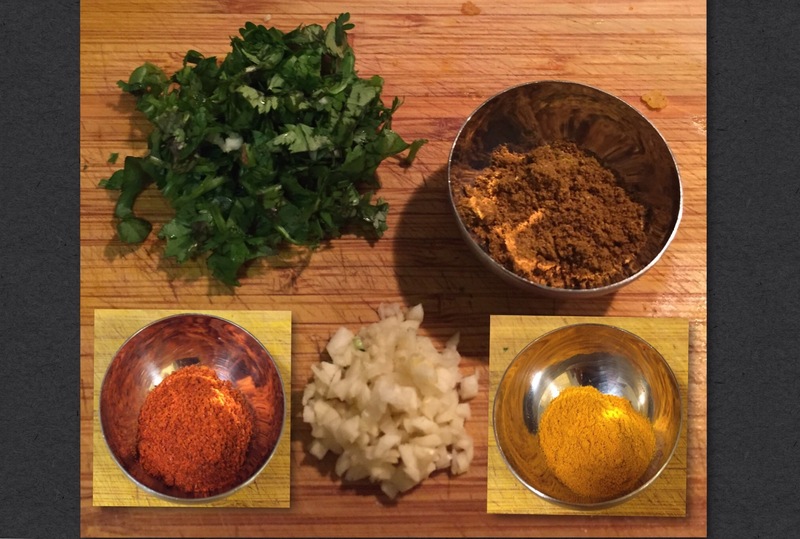 Whatever I do with it, I make sure l add lots of spices to enhance the taste since they are kind of bland. 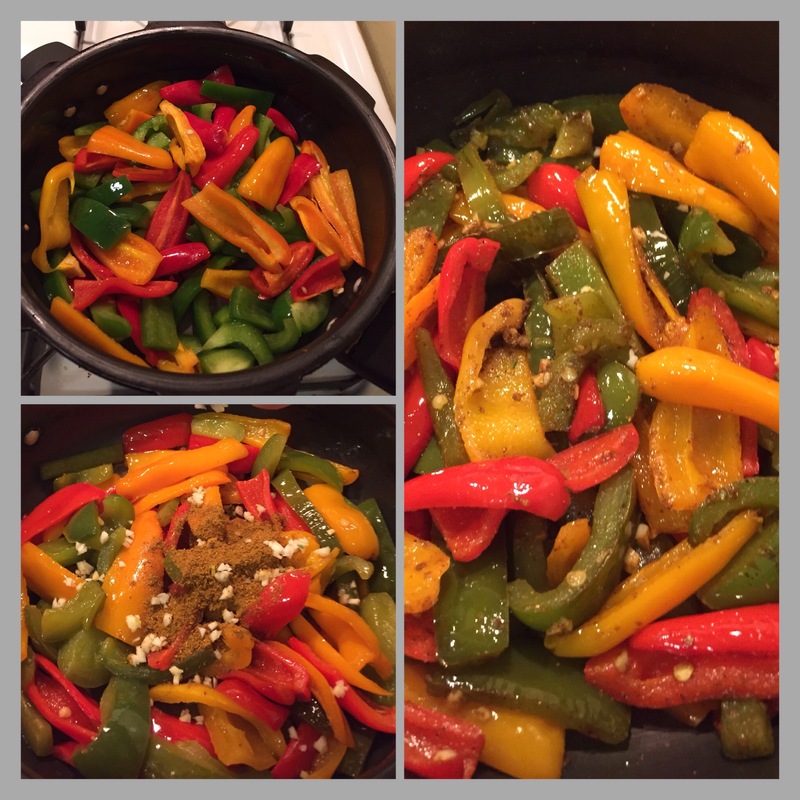 This time I added these sweet bell peppers with garlic and curry powder,You have this delicious dish that goes very well with rice , chapathi, flat bread, pasta, noodles etc. Let me show you how easy it is to make it. Cut the cauliflower into florets , slice the sweet peppers into thin strips, wash and drain. 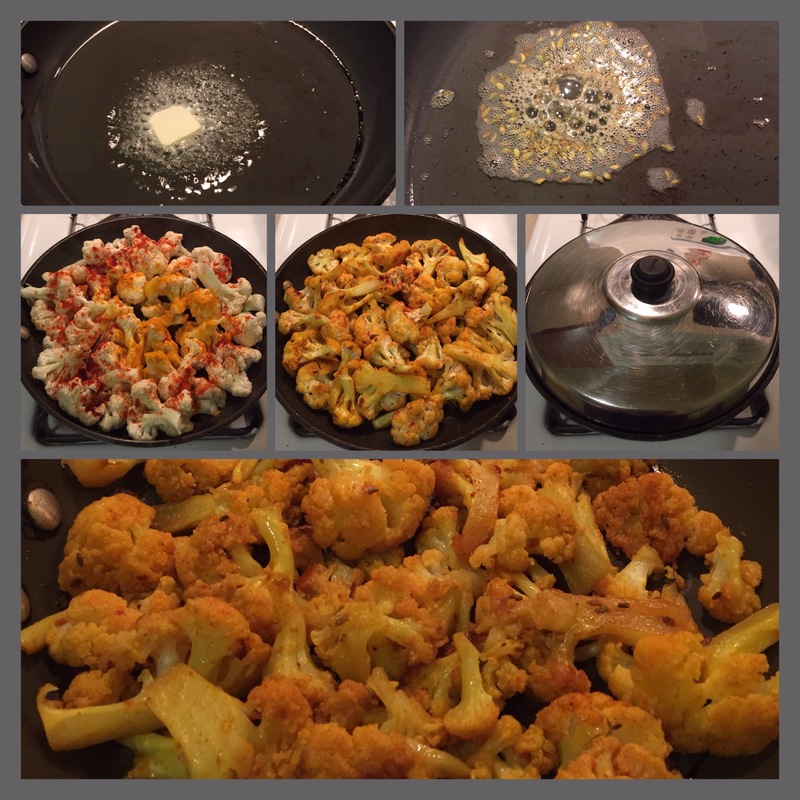 Step 1 – Cook the cauliflower. Take the lid out and keep it in a low flame for a few minutes to caramelize. Set it aside and let it stay in the same pan , it keeps it warm. Keep it in a low flame until the peppers are softened . Make sure it still retains a little bit of crunch . 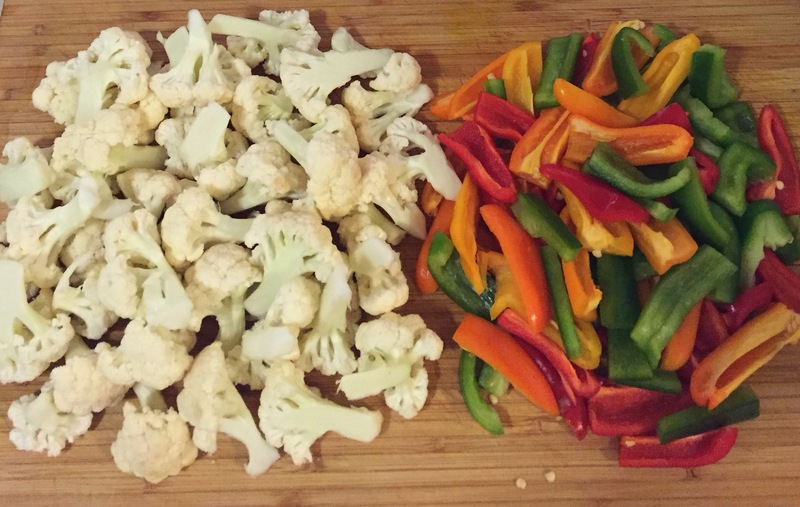 Step 3 – Mix the peppers with the cauliflower. Take it out of the heat and let it stay in the pan for the flavors to meld. And garnish it with cilantro leaves. 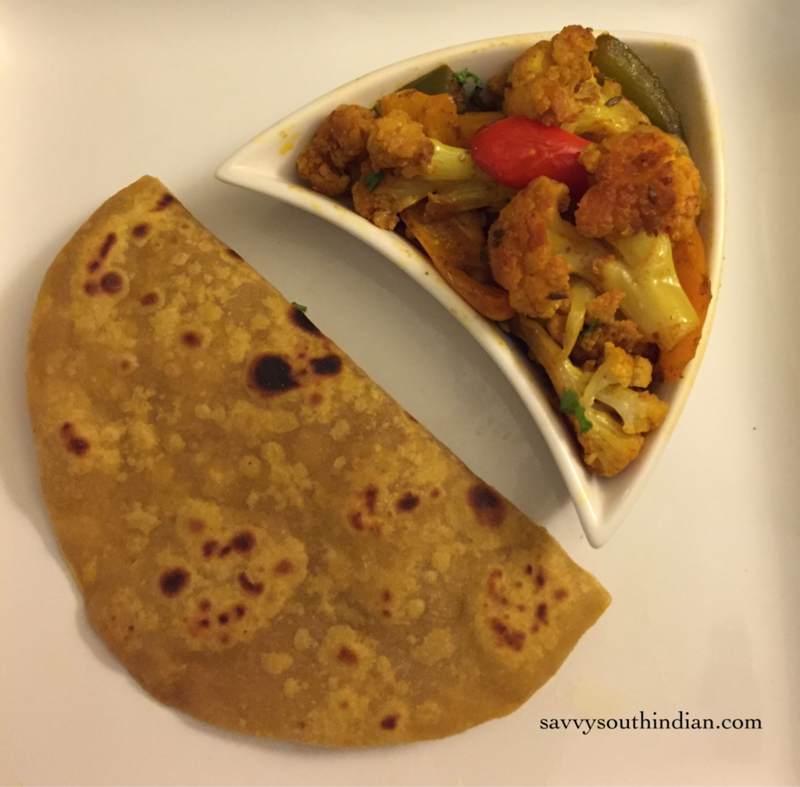 The colorful crunchy peppers, flavorful cauliflower and the aroma of the curry powder makes it so appetizing . You might ask why don’t we cook them all together.? Good question , I tried it, either the cauliflower got cooked too much or the peppers got soggy. I didn’t get the desired texture . I give a lot of importance to the texture. It makes a big difference in taste. So decided to cook them separately and it turned out good. I love to eat this with chapathi, my kids have it with rice and my husband loves pasta so I mixed it with some pasta cooked with tomato sauce, it tasted awesome. There you go! 1 dish = 3 different meals. Doesn’t this make your life easy ? . 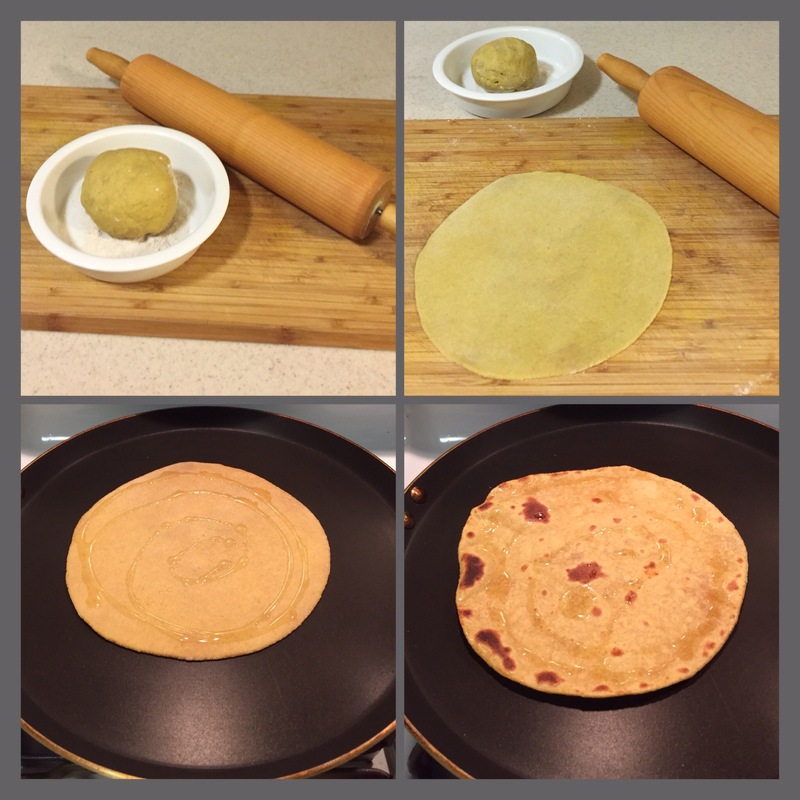 Each household makes chapathi in a different way. I’m showing you the way my mom has been making it for years. Mix the above ingredients together,add water slowly and knead it into a thick dough. Cover and leave it in a warm place for at least an hour. This softens the dough and yields very soft chapathis. Roll them out. Heat the pan , put the chapathi, once it starts to bubble put a tiny bit of oil and turn it and cook the other side. I coat this side with a little bit of butter or ghee . It really enhances the taste. Making it with little bit of oil or butter keeps it soft for a long time.so you can make this ahead before dinner time. If you have leftover dough . Keep it in a air tight box, the turmeric powder we added prevents it from growing fungus (black spots) so it stays fresh in the fridge for a week. Are you ready to eat ? 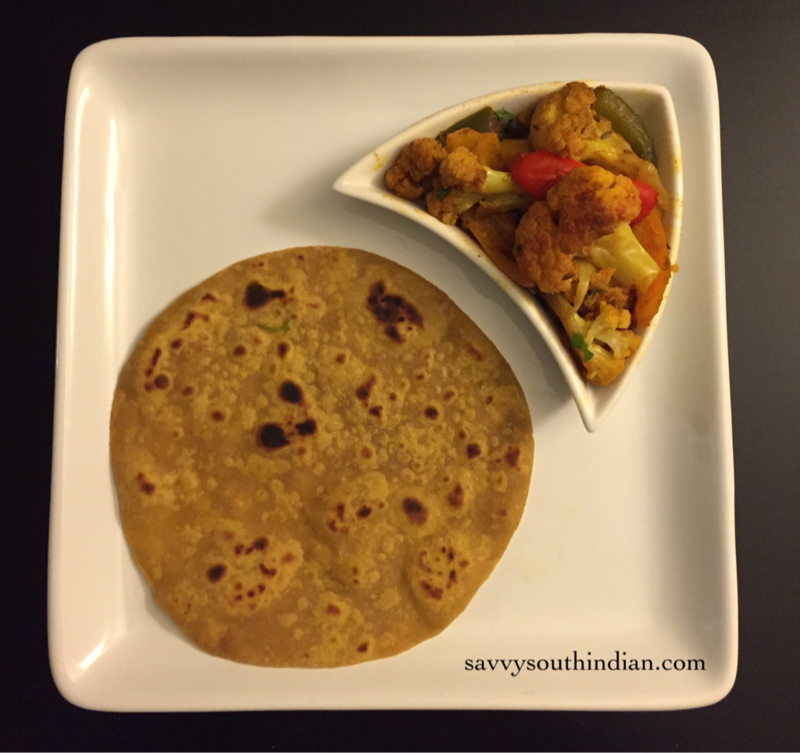 This tasty dish has very simple ingredients and its extremely easy to make. It is so versatile it’s easy to please everyone in the house. Less work in the kitchen means more quality time with the family. Hope you try this and I really encourage you all to visit the farmers market you never know what you might come up with. Eager to see your recipes soon. 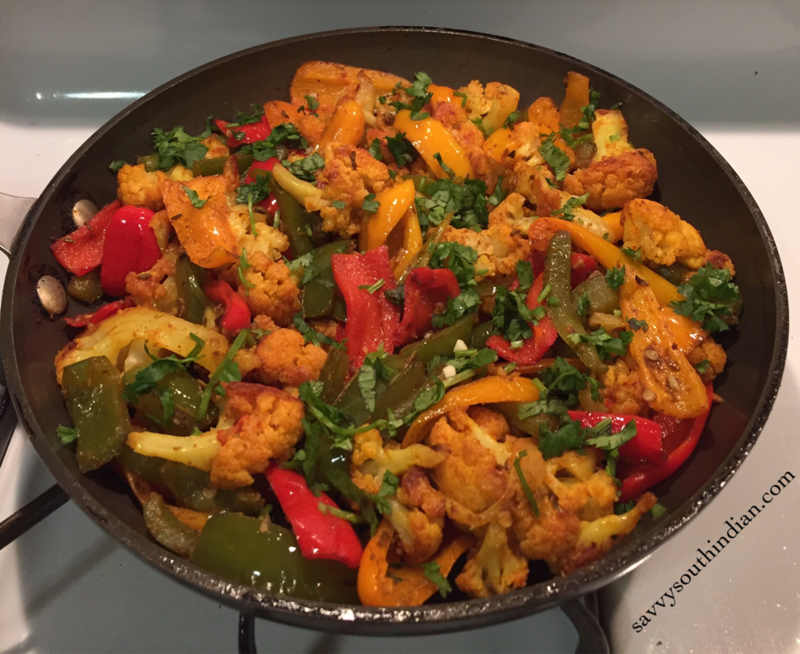 The cauliflower and peppers look absolutely delicious and recipe seems easy too!